As genetics and management practices have improved within the Australian lamb industry, the weight of lamb carcases has in-creased. Yet, the demographics of lamb consumers and their consumption patterns have changed, as household size has become smaller. Consequently, the traditional lamb cuts have less appeal to consumers from smaller households when taken from heavy carcases (>25kg). 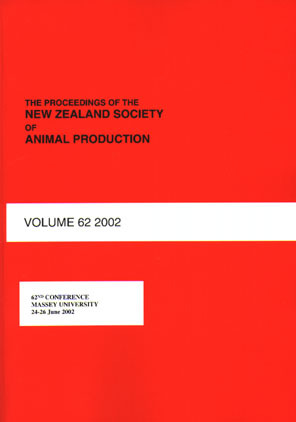 Therefore, research has been conducted to determine the potential for fabricating new cuts from heavier lamb carcases, determine the nutritional composition of new cuts and examine the impact of increasing carcase weight and fat depths on the time and labour required to process larger carcases into smaller cuts. Development of an information matrix of available lamb data on the eating and nutritional qualities and contribution to total carcase yield highlighted the potential to create further val-ue-added cuts from the forequarter and leg. However, the time taken to fabricate these increasingly value-added cuts from heavier carcases increased with carcase weight (0.44 minutes/kg (s.e. = 0.065) and changes to the saleable meat yield resulted in increased average product prices. Based on the program, a new cut called the Compact Shoulder Roast was developed to provide an option for retailers when processing heavy carcases. This paper outlines some of the outcomes of this program.